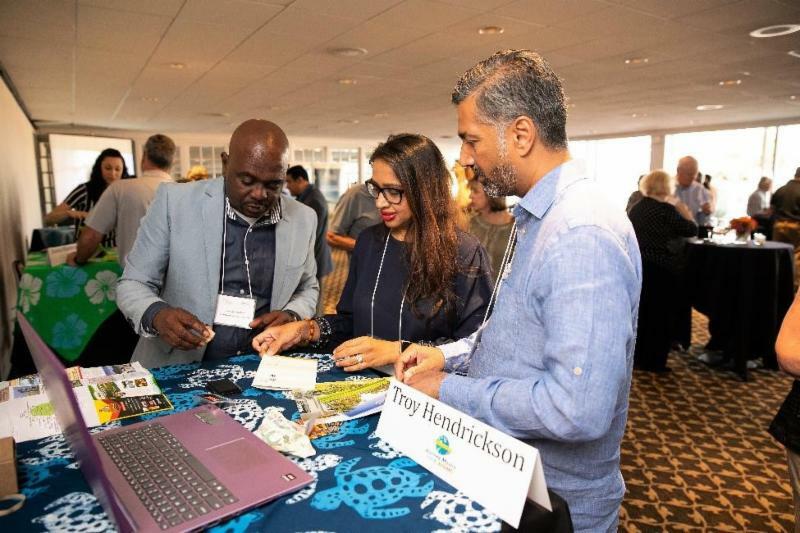 A signature activity in the US, the St. Kitts Tourism Authority conducted its 2nd annual Destination St. Kitts & Nevis US Roadshow 2019 from Monday, March 25 to Friday, March 29. The week-long series of 6 events were held in New York, New Jersey, Atlanta, Houston, Farmer’s Branch (Texas) and Dallas in order to grow visitor arrivals from these gateway markets and supporting flow markets. These events were designed to educate travel agents, tour operators, MICE buyers, wedding and honeymoon planners, media and experiential lifestyle consumers about everything the destination has to offer both business and leisure travelers. Pictured: Minister Grant and CEO Brown with a lucky prizewinner at the destination event held at the Hess Club in Houston, Texas.“This year’s US Roadshow was a resounding success with record numbers of attendees for each event,” said the Hon. Lindsay F.P. Grant, Minister of Tourism for St. Kitts & Nevis. 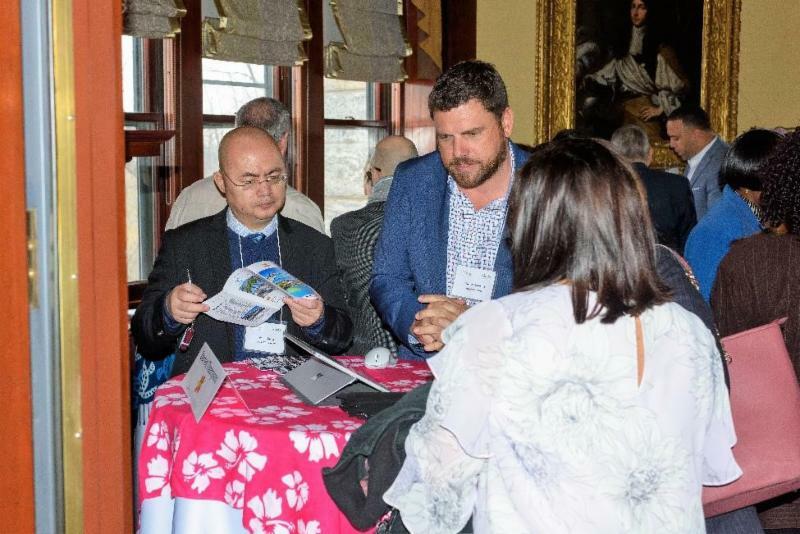 “Having attracted the sheer number of travel agents, MICE buyers, media and more who sell or publicize business and/or leisure travel demonstrates that there is growing interest and demand in these gateway markets for the tourism product that St. Kitts & Nevis has to offer.” The first event was a brunch held at The Castle Hotel & Spa in Tarrytown, New York, an affluent suburb north of New York City on Monday, March 25. The second event was a dinner held at the Pleasantdale Chateau in West Orange, New Jersey, an upscale neighborhood in the northern part of the state, also on March 25. On Tuesday, March 26, the third event was a dinner held at the Westin Buckhead, located in an affluent suburb just north of Atlanta. 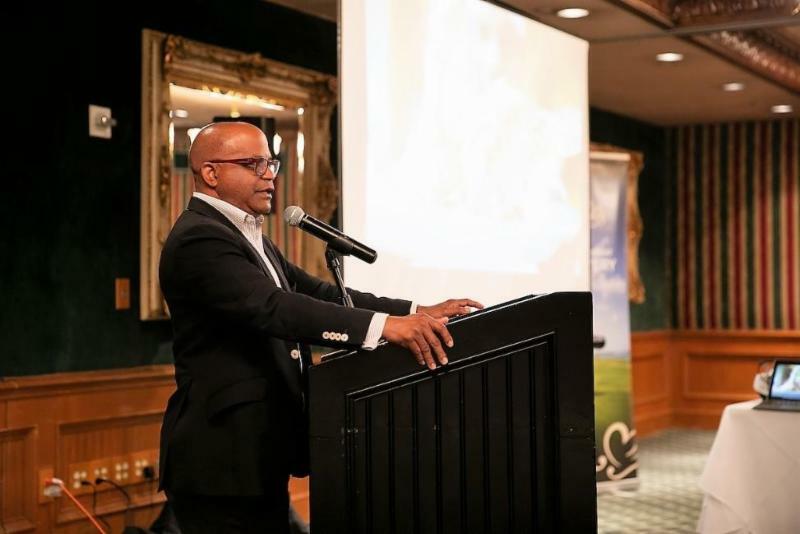 The fourth event was a luncheon held on Wednesday, March 27, at the Hess Club in Houston. A cocktail reception held on Thursday, March 27 at the Brookhaven Country Club in Farmer’s Branch, an affluent suburb of Dallas, Texas, was the fifth event in the Roadshow, while the sixth and final event was a luncheon held at III Forks Restaurant in Dallas. 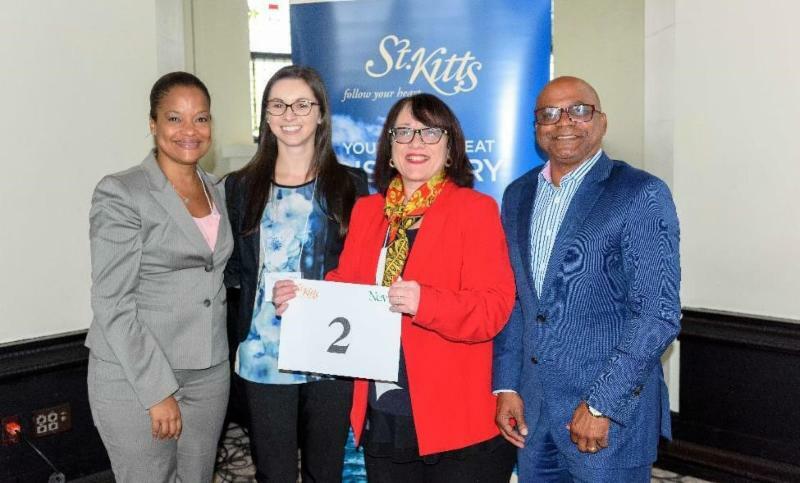 All events supported St. Kitts’ non-stop flights and attracted a total of 300 attendees combined, all of whom were travel agents, MICE buyers, tour operators, wedding and honeymoon planners, media or experiential lifestyle consumers. Attendees were top travel professionals representing some of the most respected organizations in the business, including Maritz Travel, Cox Enterprises, Pro Travel International, Meetings Plus, Valerie Wilson Travel, Houston Style Magazine, Frosch, Questex LLC, Travel Impressions, and Westchester Magazine. Pictured: Jamar Wilkins of Four Seasons Resort Nevis interacting with attendees at the event in West Orange, NJ.In addition to being treated to a meal and lively conversation with representatives from St. Kitts, the individuals played games, listened to presentations and won a variety of prizes from hotel stays to bottles of St. Kitts’ own Brinley Gold Shipwreck rum that were provided by participating local island tourism stakeholders. 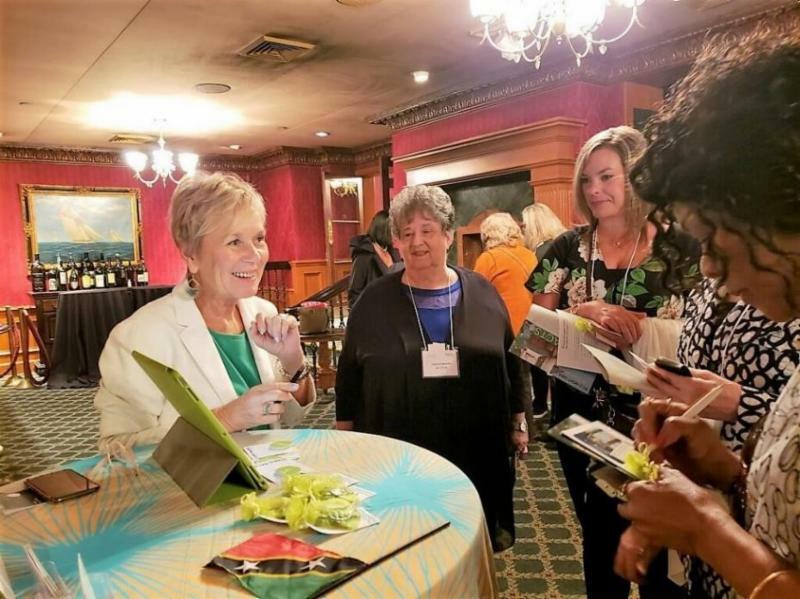 In addition, attending travel agents were offered a special $150 incentive for booking clients’ air only on the non-stop flights to St. Kitts or air in combination with a hotel reservation at participating destination hotels, all offering special Summer Sunsation rates, between now and May 17, 2019 for clients’ travel through August 17, 2019 when they log their productivity on St. Kitts’ website or via the Destination Specialist program with Travel Agent University. 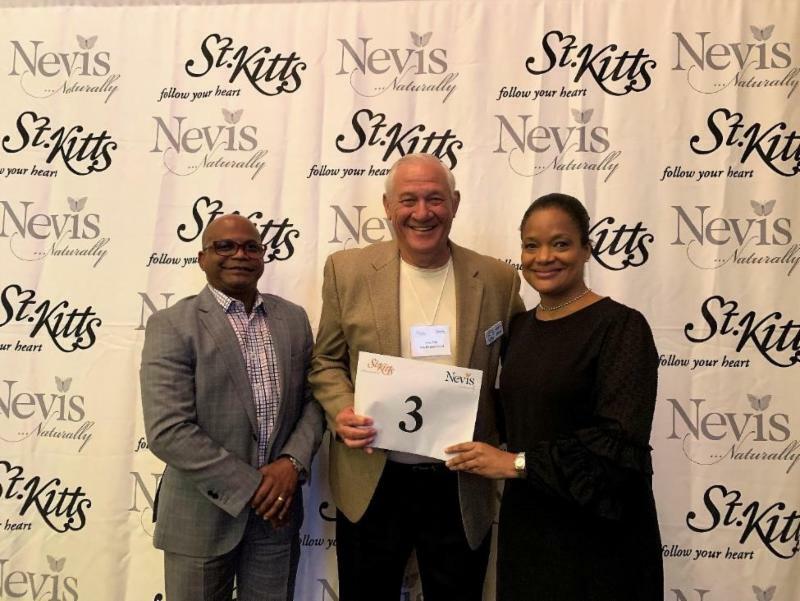 As a result, many attendees are now adding St. Kitts & Nevis as a featured destination they will sell to their clients. 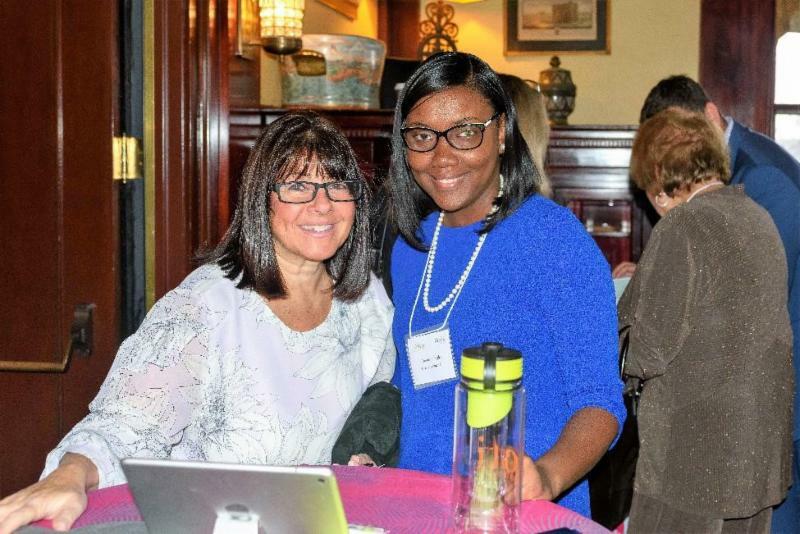 Pictured: Tawanna Wigley of OTI speaking with an attendee at the event in Tarrytown. 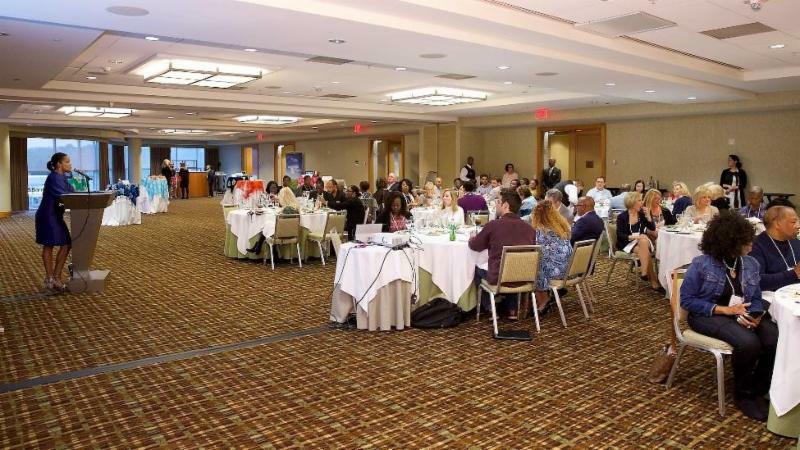 Pictured: A full house of attendees listening to CEO Brown’s remarks at the event in Atlanta.The delegation from St. Kitts inclded: the Hon. Lindsay F. P. Grant, Minister of Tourism for St. Kitts & Nevis; Racquel Brown, CEO of the St. Kitts Tourism Authority; Ambassador Jonel Powell, Chairman of the Artist Selection Committee for the St. Kitts Music Festival; Annie Sinzinger, US Marketing Manager for the St. Kitts Tourism Authority; Denise Zimber, Christina Mucha and Shayna White, Marketing Consultants for the St. Kitts Tourism Authority; Tom Jaronski, Golf Consultant for the St. Kitts Tourism Authority; and Candice Kimmel, CEO and Founder of Adams Unlimited, PR & Marketing Agency in North America for the St. Kitts Tourism Authority. A number of tourism stakeholders from St. Kitts & Nevis were also part of the delegation, including: Troy Hendrickson, Carib Journey Masters; Tawanna Wigley, Sales Representative, Ocean Terrace Inn; Richard Berridge, General Manager, Kayanjet; Jaana Kuntonen, Sunlinc; Christine Marshall, Sales Manager, Park Hyatt St. Kitts; Sylvia Martinez, Director of Sales and Marketing, St. Kitts Marriott; Tim Thuell, Nisbet Plantation; Cyndi Miller-Aird, President, Miller + Aird Destination Marketing for Belle Mont Farm; Jamar Wilkins, Travel Industry Sales Manager, Four Seasons Resort Nevis; and Darren Thompson, General Manager, Royal St. Kitts. Pictured: Troy Hendrickson of Caribbean Journey Masters speaking with attendees at the event in Farmer’s Branch. Pictured: Jaana Kuntonen of Sunlinc interacting with attendees at the event in Dallas. 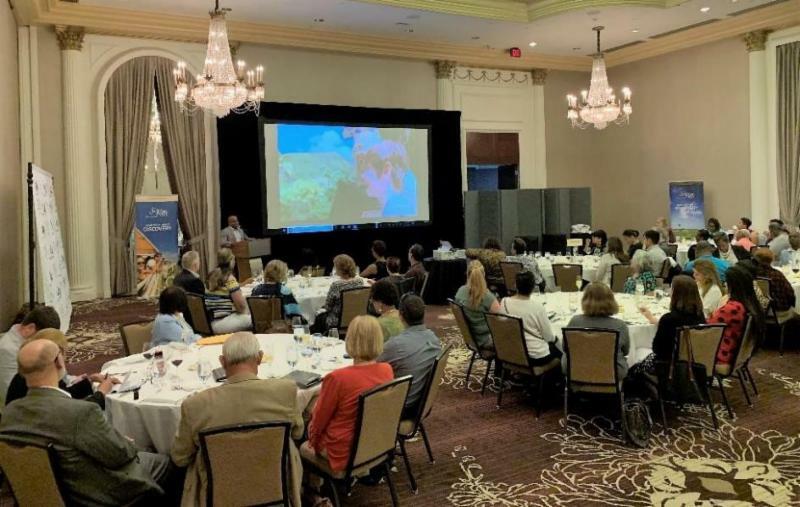 Pictured: A full room of attendees in Houston listening to remarks being delivered by Minister Grant. 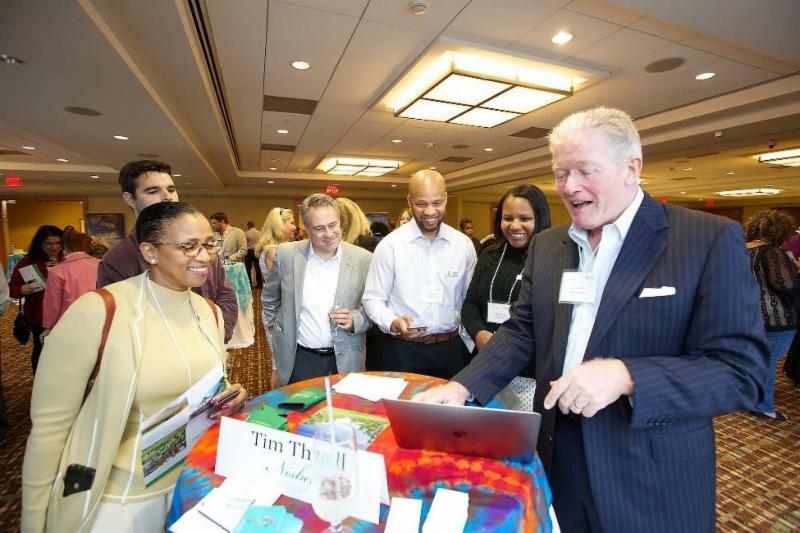 Pictured: Attendees interacting with Tim Thuell of Nisbet Plantation at the event in Atlanta. 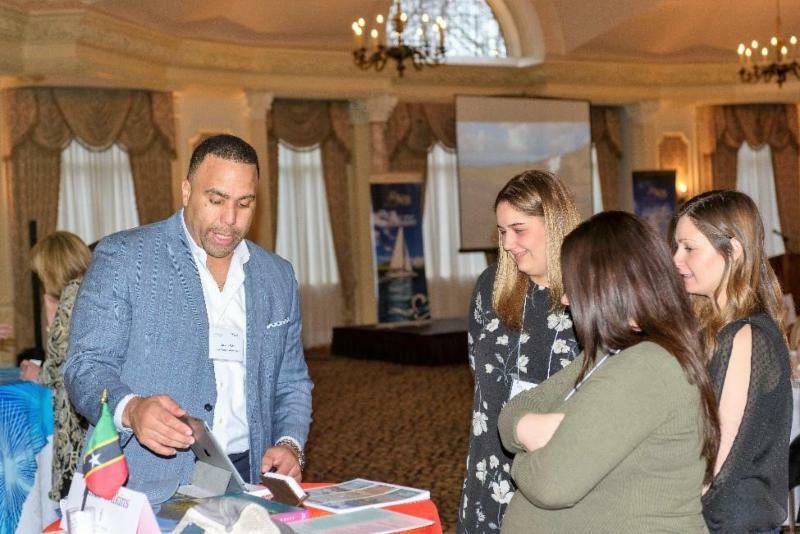 Pictured: Darren Thompson of the Royal St. Kitts Hotel interacting with attendees at the event in Tarrytown. 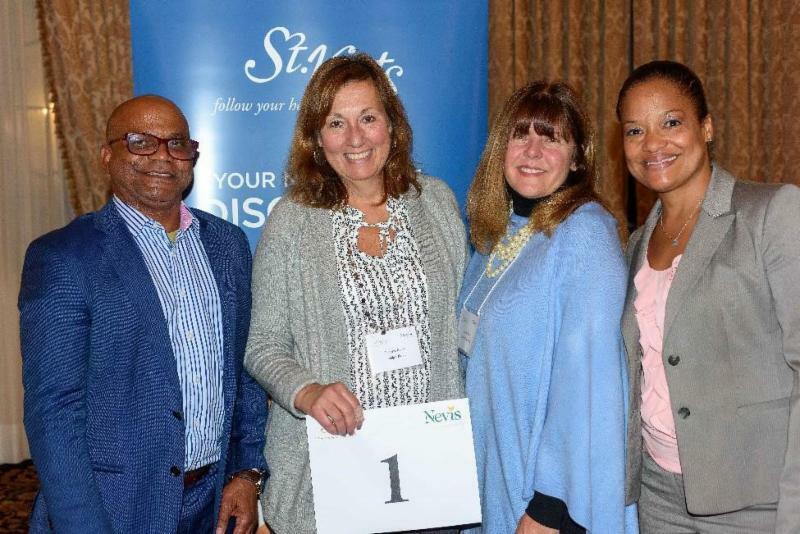 Pictured: Minister Grant, CEO Brown and Cyndi Miller-Aird of Belle Mont Farm with a lucky prizewinner at the event in West Orange, NJ. 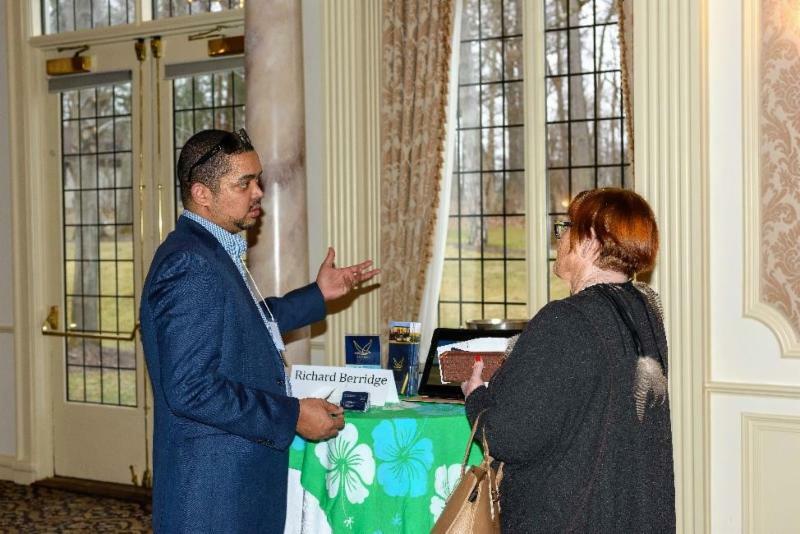 Pictured: Richard Berridge of KayanJet speaking with an attendee at the event in West Orange, NJ. 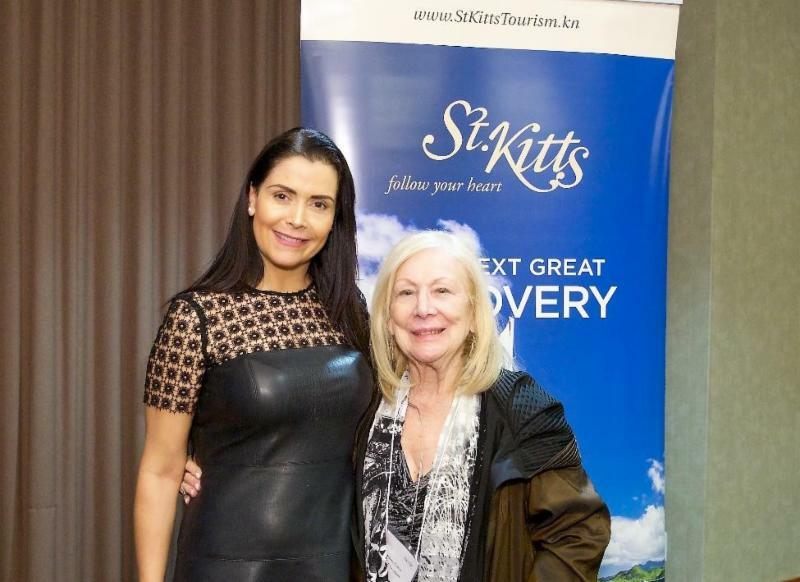 Pictured: Sylvia Martinez of St. Kitts Marriott Resort poses with a prizewinner at the event in Atlanta. Pictured: Minister Grant, CEO Brown and Christine Marshall of Park Hyatt St. Kitts with a lucky prizewinner at the event in Tarrytown, NY.About St. KittsIntoxicating natural beauty, sunny skies, warm waters, and sandy beaches combine to make St. Kitts one of the most seductive spots in the Caribbean. Located in the northern Leeward Islands, it offers a diverse tourism product developed from the destination’s natural beauty, cultural heritage and rich history. The island’s stunning variety of tourism attractions include hiking through the tropical rainforest, riding the scenic railway that connects the island’s former sugar plantations, visiting the Caribelle Batik factory, and touring Brimstone Hill Fortress National Park, which is an UNESCO World Heritage Site. Among the more traditional vacation pastimes available are watersports including catamaran sails, golf, shopping, tennis, dining, gaming at St. Kitts’ exclusive casino or simply relaxing on the beach. For more information about St. Kitts, visit www.stkittstourism.kn.